But now that I have gotten my thoughts together, I will try to make some sense of them. There were a few parts of last night’s keynote, and as always, some were more exciting than others. Before the event even started, I made sure to remind my Twitter followers, some of whom would inevitably call the Apple Watch a waste of money, an overpriced toy, or claim that there is no market for such an expensive watch to view this video. The video is of then CEO of Microsoft Ballmer ridiculing the iPhone that then went on to change the world. Except that video will always remain out there and Ballmer will always look like a fool for having made those claims. “It doesn’t appeal to business users because it has no keyboard.” “It is way too expensive” and on and on. Fool for speaking too soon, so learn from his mistakes and wait a bit before writing posts like this one. Yes, thin means portable and portable is good when you are talking about a computer you will be carrying around. Thin, in this case, also means stunningly beautiful, words I would very rarely ever use to describe any electronic device not manufactured by Apple. Enough said. As for this laptop though, it might actually be too thin. Too thin not because it is hard to hold or because 2 LBs is too light. Too thin because due to its thinness, it is lacking some of the fundamental things that make a laptop a laptop. First and foremost, it is underpowered. Dual core? In 2015? Even for Apple who doesn’t do specs, that is pushing it. An external screen because there is no way I can follow Twitter on a 13″ display. My charging cable because, well why wait to run low before plugging in? So for all that, plus the occasional presentation for which I need to use another larger display, I will need to use adapters. I repeat, adapters. To do any or all of those basic things. I get it. Apple killed the floppy disc, the CD, the standard USB, and other things, but I am not sure I am ready for this step. It may be a bit drastic. Its extreme thinness also means less room for a normal trackpad. Yes, Apple came out with a solution with its new Force Touch feature, which seems pretty cool, and I would have to try it to really evaluate it, but no real click? Again, torn. Not sure about this. 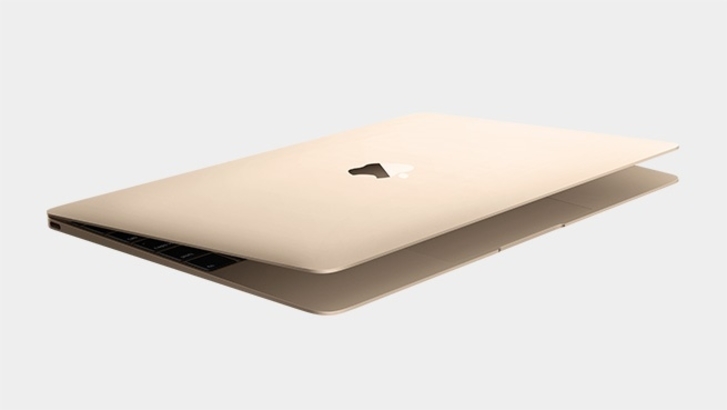 Last thing the thinness of the new Macbook means is no backlit Apple logo. That might seem like a silly thing or something that is no big deal to give up on, but the backlit Apple logo on Macbooks have sort of become an icon for Mac owners. 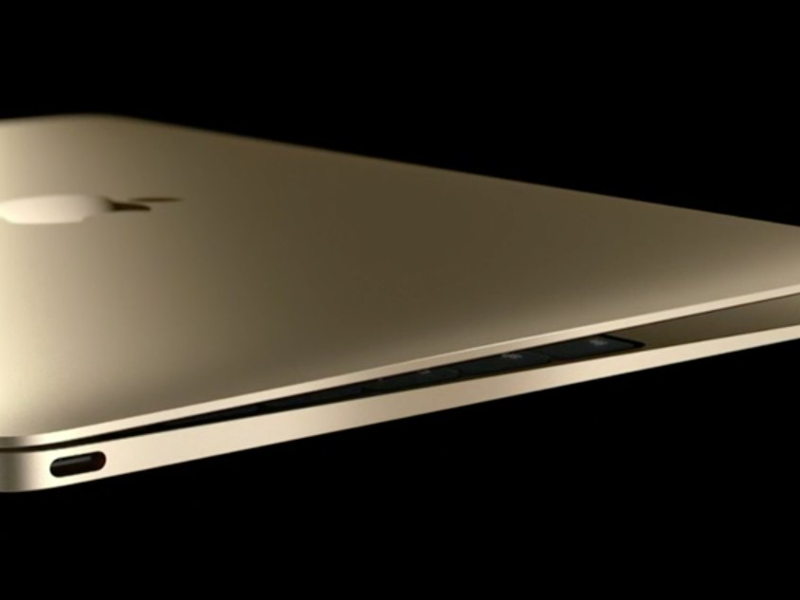 Seriously, hard to believe the new Macbook won’t have it. Anyway, watch MKBHD​’s video of the new Macbook to see just how thin it is. You will surely be amazed. Will you buy it? Will I? Not 100% sold on it, especially since, ya know, I don’t need it. But that gold… Stay tuned. Other thoughts on the event. 700,000,000 iPhones sold. 700 MILLION! That is 700 million phones that didn’t have a keyboard when all other smartphones did. That is a phone that people said was overpriced. That is a phone that people said was late to the game. That is a phone that came out with no video capabilities or 3G! How many lessons can we learn from the iPhone? So many, it’s ridiculous! 700 MILLION. Other important tidbits. Apple will double the amount of stores it has in China by next year. That speaks volumes. The Apple TV, which I personally love and use every single day is now $69. Why would anyone in their right mind, NOT buy this thing? Car Play, Apple’s entrance into the automotive industry has every single car manufacturer on board. Every. Single One! Research Kit, Apple’s way of revolutionizing medical research and healthcare seems monumental, but being as I know NOTHING about this stuff, I will just say “Watch this space”. I know Umoove​ is! 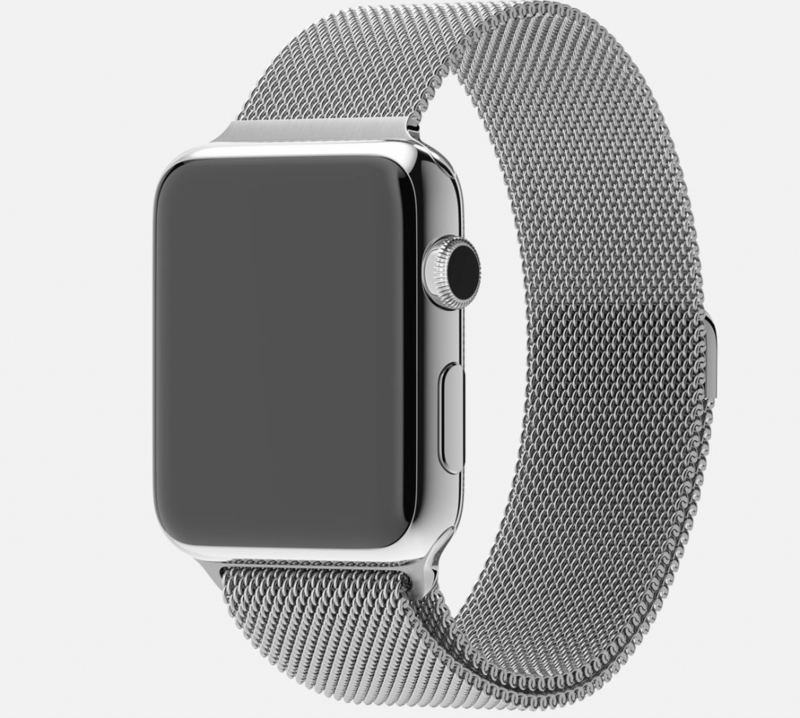 And the punchline of yesterday’s event, the climax, the “One more thing” was obviously the Apple watch. Ok let me just say off the bat that I have been wearing a smartwatch for nearly two years now. I love Pebble​, both the company and the product. If you still are not convinced of the need for a smartwatch, read my thoughts from 2013 on my first Pebble. They are still true for Pebble and they are even more true for the Apple watch. My initial thoughts on the Pebble. “So yes, The Pebble is fun for meetings, but for everything else, it is a total game-changer. When I am eating breakfast, laying in bed Flipboarding, carrying groceries, shopping, and ya know, doing the normal things people do, the phone never leaves my pocket. Now obviously, if there is an important email that needs addressing now, I will take the phone out and reply but let’s be honest, how many of those do we really get each day? 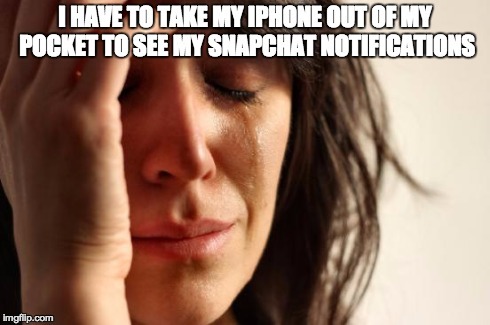 So yes, the ability to quickly glance at notifications is of tremendous value for most people. But with the Apple watch, it doesn’t stop there. Not even close. Think for a second how much dead space you see in most of the apps you use daily. Uber is the perfect example. All I need is to press a button notifying a driver where I am. Do I need a huge smartphone screen for that? Hint: No, I do not. That is true for most apps, but it is most definitely not true for everything, unless you know how to truly optimize a small screen to display the information the user needs and only the information the user needs. Now, what company out there knows how to best design hardware and software while paying attention to the smallest and most trivial details? 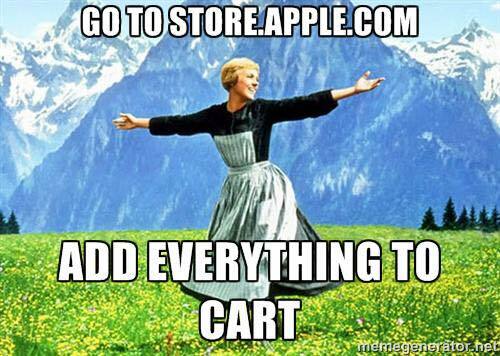 Oh yes, Apple does. The bottom line is this. 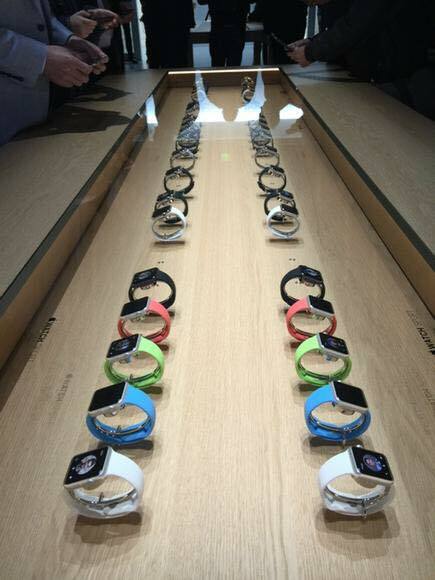 I will most definitely be buying an Apple Watch. I will in fact be buying the Apple Watch pictured below. I will buy it not only because it is a trend worth paying attention to and I have absolutely zero doubt that Apple just did to watches what it did to mobile, personal computing, tablets, and other things before, but I will buy it because it will enhance my life. Do I have issues with the Apple Watch? Yes, quite a few, but mainly the thought of having to charge my watch daily as opposed to my Pebble, which I charge once or twice a week. The price? Yes, insane. Ok, maybe insane is a bit dramatic. It is a premium product, just as the iPhone is, just as the iPad is, and just as the Macbook is. Once you own it, surely you will understand why you paid the premium price. I have no doubt of that. Lastly, I will address one more point I hear repeatedly from Apple haters. “It’s all marketing”. Yes, Apple is a company that absolutely excels at marketing. No question about that whatsoever. Having said that, my five-year old Macbook Air never crashing on me, containing no malware, starting up in seven seconds, and never crashing on me (did I mention it never crashes?)? That is not marketing. My iPhone enabling me to write press releases without having to fire up a computer, offering me the most comprehensive ecosystem of superior apps, while maintaining my security and having virtually zero security threats (ahem, Android) is not marketing. My iPad offering me a truly immersive and engaging media consumption experience with industry-leading iPad-optimized apps? That is not good marketing. Those things? They are called good products. They are called amazing hardware software integration. They are called attention to detail. Most importantly, Apple’s lineup is the result of a user-centric philosophy. Yes, it is a walled garden. Why? Provides a better experience for the user. Yes, Apple often rejects apps from the App Store. Why? Because better apps provide a better experience for the user. Anyone who disagrees that Apple creates products for users first does not get Apple and has never really given Apple products a chance. You can customize your PC to your heart’s content and you still won’t get the experience you get when firing up a Macbook. You can buy the top of the line Android phone and you still wont get the unified and smooth high performance experience you get with an iPhone, despite the Android device’s superior specs on paper. The camera is the perfect example. Less megapixels, because no user cares about that marketing talk. What do users care about? Better pictures. Period. Listen, we can get into the whole iOS vs Android debate but let’s not waste our time. 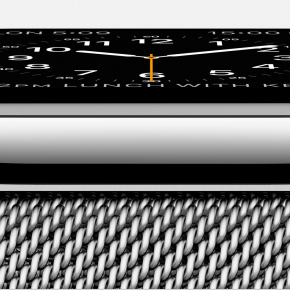 The watch, like the iPhone, and the iPad, and the Mac will sell millions. People will love it and some people will hate it. Apple’s market cap will continue to grow and it will surely become the first trillion dollar company in history. There will always be haters and there will always be the people who mistake Apple for a religion, both in a positive sense and a negative one. Those people are missing the point with the point being that Apple is a company that makes excellent products and the Apple Watch is no exception. Speaking of haters, one of them tweeted this GIF during the event yesterday. It made me laugh.